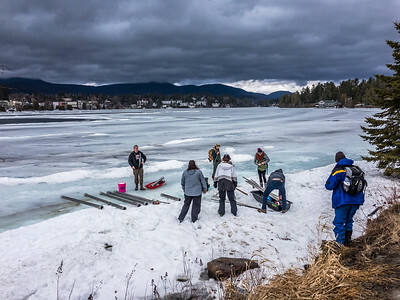 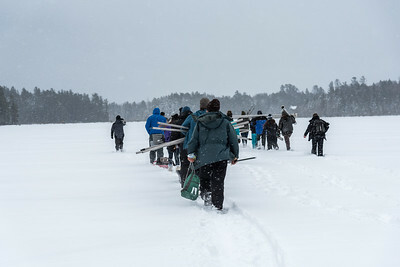 This gallery contains images of paleoecological work being done in the Adirondacks. 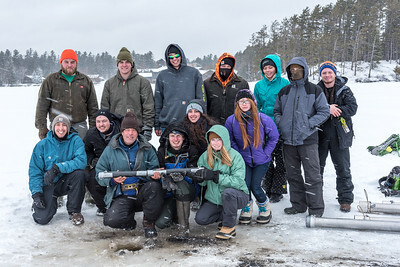 Curt Stager's paleoecology class on Lower St. Regis Lake posing with their recently collected core. 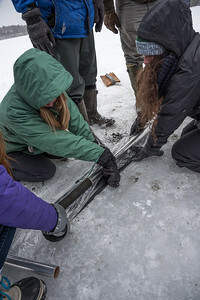 Preparing to wrap the core. 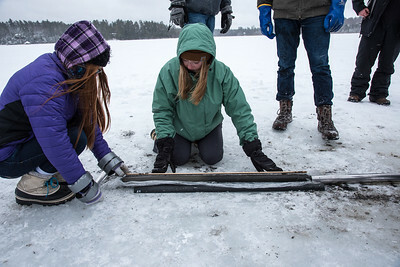 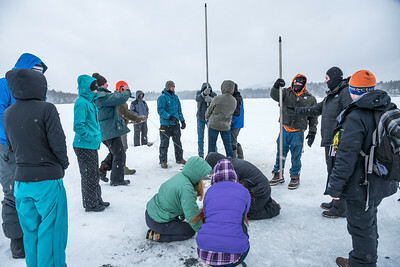 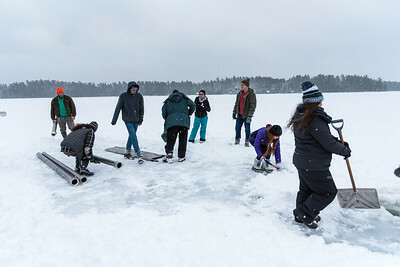 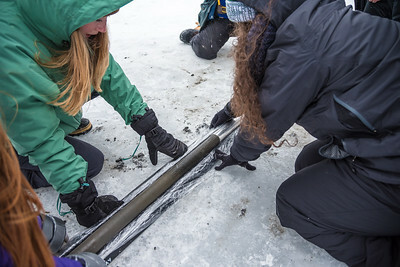 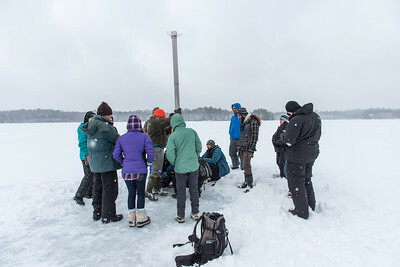 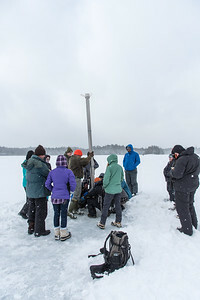 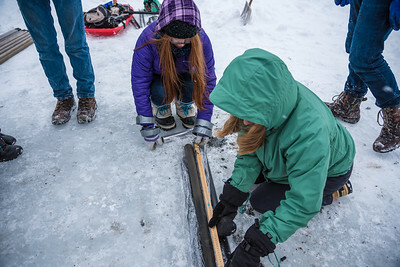 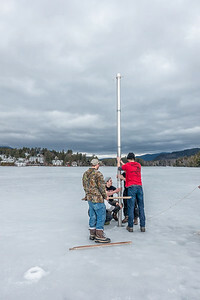 Students collecting a piston core from Lower St. Regis Lake. 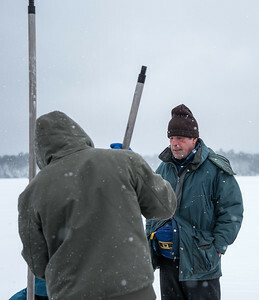 Curt Stager overseeing the coring operations. 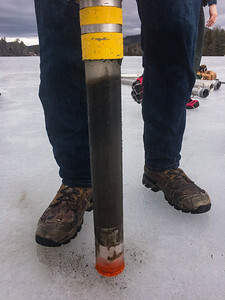 Lowering conduit to stabilize the coring device. 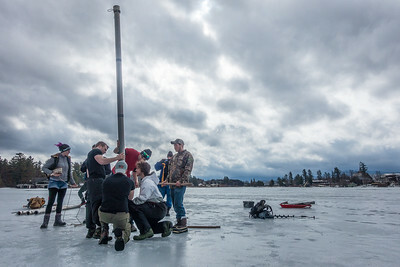 Preparing the ice to start coring. 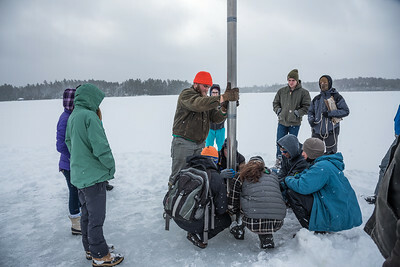 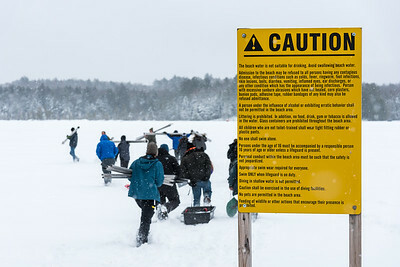 PSC students hauling coring equipment across Lower St. Regis Lake.